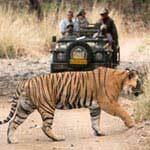 Online Booking of Jungle Jeep Safari In Jim Corbett National Park including Dhikala, Bijrani, Jhirna, Durgadevi, Sitabani, Dhela etc. 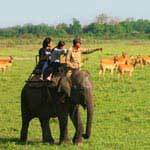 Online Booking of Dhikala Canter Safari in Jim Corbett National Park by Govt. Permitted Open Canters. Visitor Season - Round The Year. 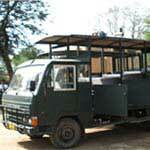 Online Booking of Elephant Safari in Jim Corbett National Park. Visitor Season - Round The Year. 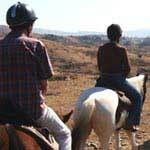 Online Booking of Horse Safari in Jim Corbett National Park. Visitor Season - Round The Year. Day 1 : Arrive Corbett Park. Check in at your selected resort. Get acclimatized to the environment. Lunch at resort. Visit local sightseeing points of Corbett like Garjia Temple, Corbett Museum & Suspension bridge. In the evening enjoy in house activities at resort. Dinner & overnight at resort. Day 2 : Breakfast at resort. Check out & start for Forest Rest House. Check in at Forest rest house. Afternoon jeep safari. Dinner & overnight at rest house. Day 3 : Early morning jeep safari. Breakfast at rest house. Check out & start for destination ahead with the sweet memories of the tour. The Management reserves the right to change the rates at any time without prior notice.